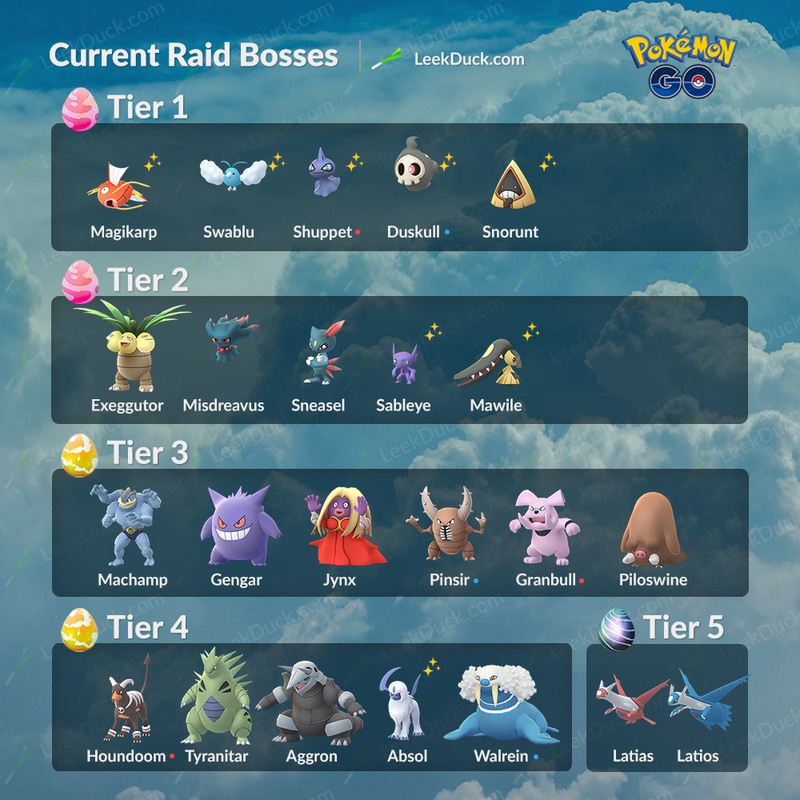 These are the Raid Bosses when Latios and Latias were added to Raid Battles. They’ve been rotated in and out due to various events. You can find the detailed version on Imgur. Hey, I'm LeekDuck. I create Pokémon GO graphics, resources and report Pokémon GO news. You can find them on my Twitter, Instagram, or Facebook Page. You can also find me on YouTube but I haven't gotten around to that. 2019 © Leek Duck. All rights reserved by their respective owners. This website is not officially affiliated with Pokémon GO and is intended to fall under Fair Use doctrine, similar to any other informational site such as a wiki. Pokémon and its trademarks are ©1995-2018 Nintendo, Creatures, and GAMEFREAK.